Season each cutlet with salt and pepper. 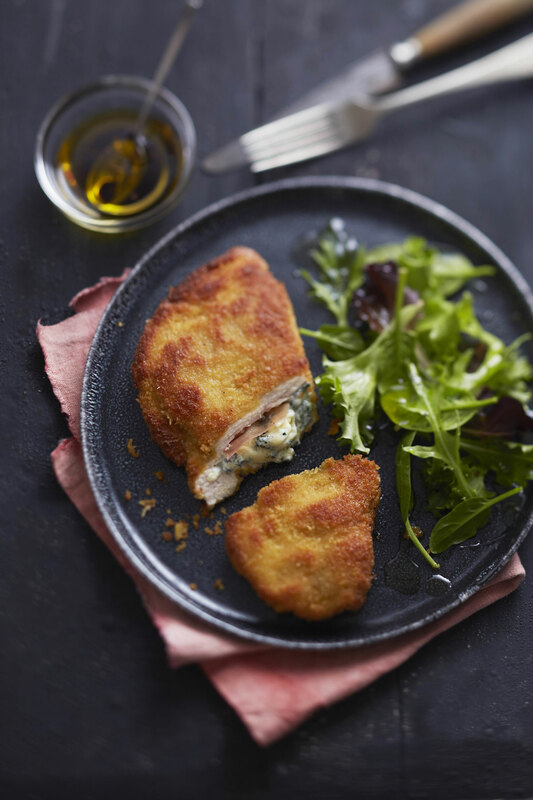 Add a slice of Parma ham on top of each cutlet, as well as some blue cheese pieces. Fold each cutlet in half to create a ‘wallet’. Press down on the sides slightly to seal. 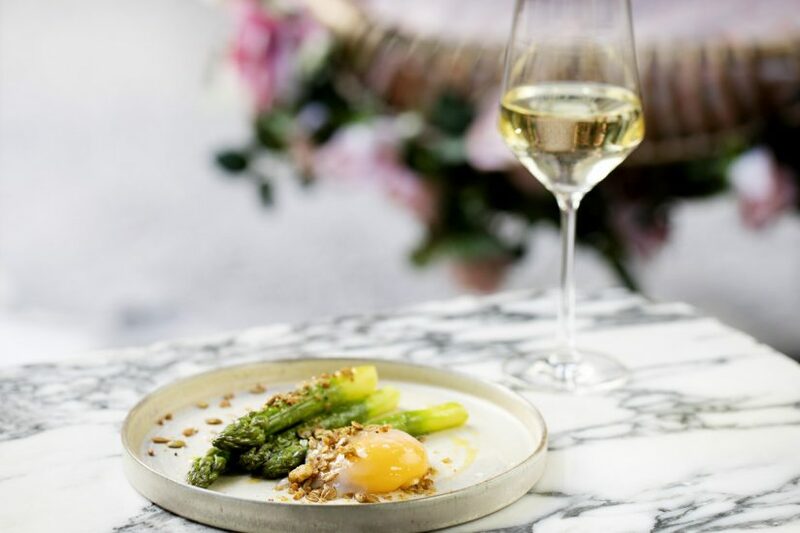 Beat the egg yolks in a bowl with a tablespoon of water, salt and pepper. Using two additional bowls, divide the flour and the breadcrumbs.Take each cutlet ‘wallet’ and roll it inside the flour (pat to remove any excess flour). Then dip into the flour, then the egg mixture. Finally, roll the cutlet in the breadcrumbs so that the breadcrumbs stick. Put the cutlets in the fridge for 30 minutes to cool. While they are cooling, warm up the oil and butter. Cook the cutlets for 5-6 minutes on each side, on a medium heat and serve.